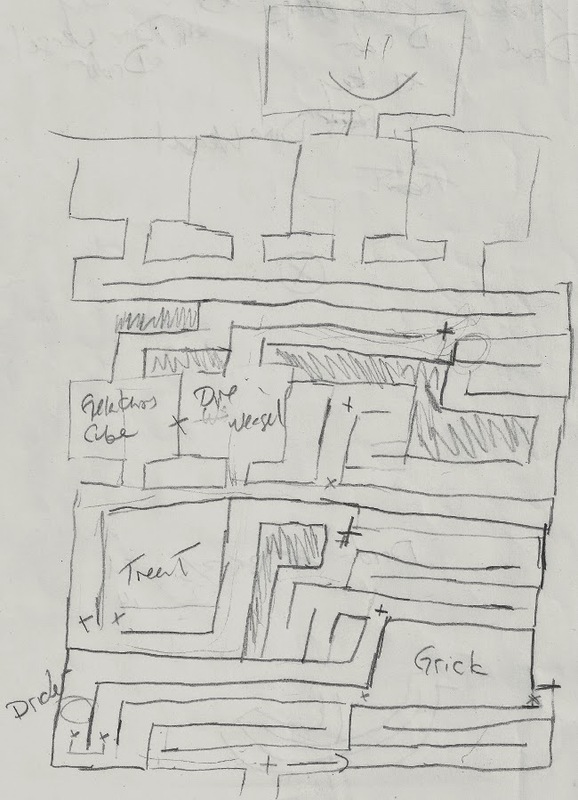 The is the map Elijah drew for Maze of the Minotaur Game 1. An amazing feat given that he drew and populated it in about 20 minutes, just before hosting the game. Robert and Raymond spent a good couple of days traveling this maze hunting the Minotaur and the three keys that would lead us to our freedom. We look forward to seeing more of Elijah's Labyrinths in the future!